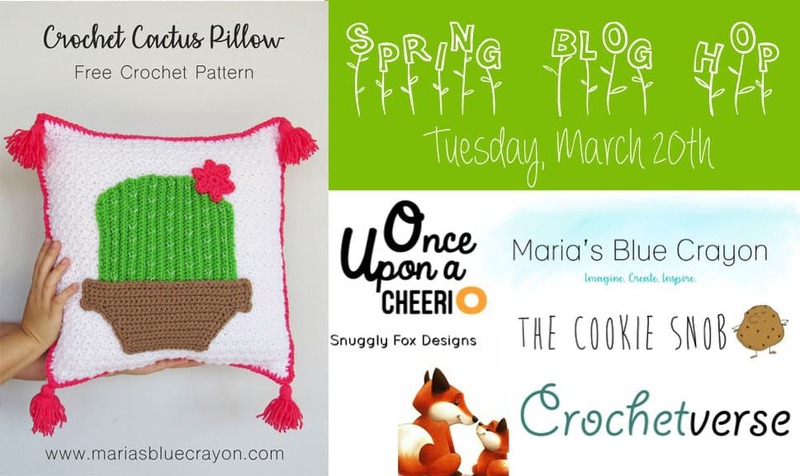 I am really excited to be participating in a Spring Blog Hop with fellow talented crochet designers and bloggers! You will be hopping from one blog to the next to find amazing crochet patterns for spring! Don’t wait – some patterns are only free for a limited time! You will find the next blog to hop to at the end of this post. 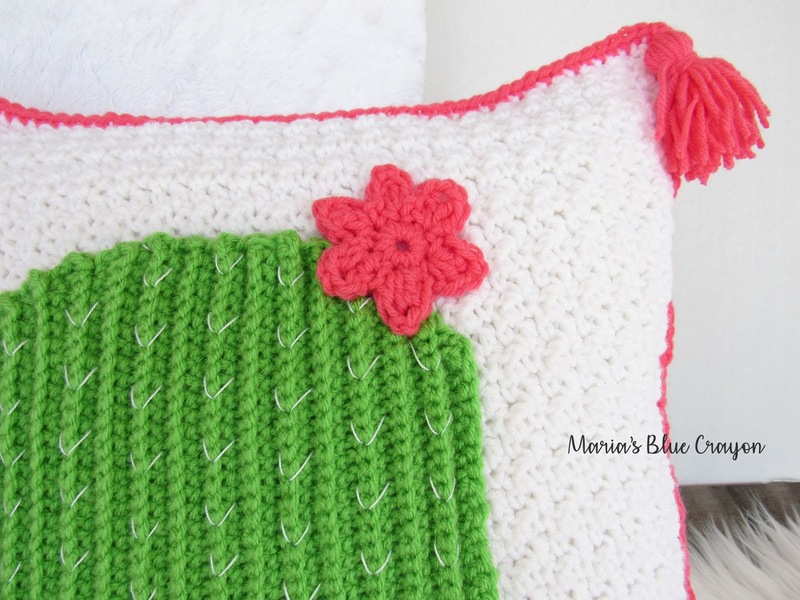 Today, I have a really fun and festive Cactus Pillow Cover crochet pattern to share with you on my blog! I may or may not be into cacti right now. 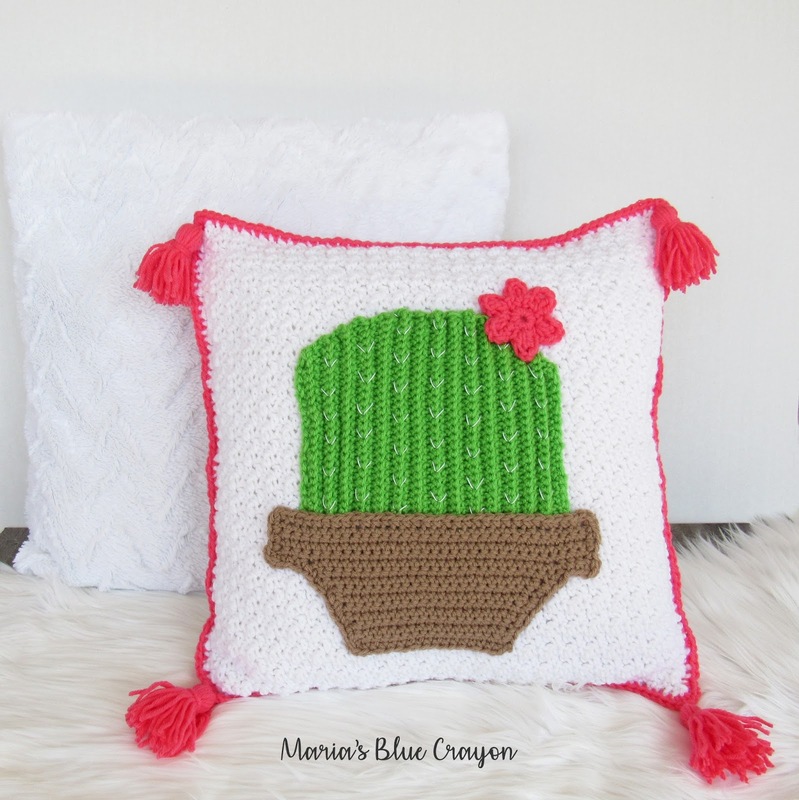 I just posted a granny square cactus pattern last week! I’ve also been seeing cacti print everything (I even got a whole cacti print set of sheets!) and I love it! So I needed something fun to bring to my couch now that it is spring, and I love all the brightness and color this pillow brings! I made the cactus applique separately and then sewed it onto one of the two panels I made for the pillow cover. It was easy to sew on since I was not worried about what the back looked like since it would be on the inside. 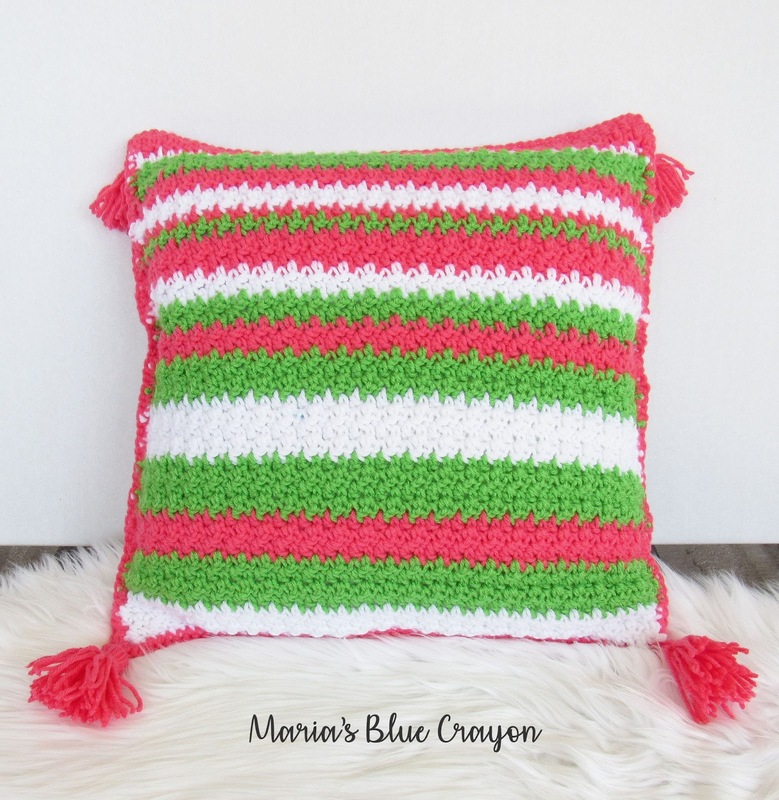 I used the grit stitch to give some extra texture on the pillow cover and I also made the back really fun! I used the white, green, and pink colors that I used for the cactus and made stripes on the back. I used this Stripe Generator, which is such a useful tool to have. Bookmark it, you may want to use it for other projects! I chose to use three colors and I set the stripe widths allowed to 1, 2, 3, and 4. Of course, you can play around with this and make it however you’d like! I like the random striped look. Just to note, I did make sure there wasn’t a lot of white stripes on the back, because I wanted to use only one skein of white that I had on hand. I ended up having just the right amount! To finish off, I made tassels for each corner of the pillow. I think it adds such a fun touch and I’m thrilled with the outcome! I made 2.75″ tassels using Boye’s tassel maker, but I know there are tutorials out there to make tassels without needing to buy a tassel maker. 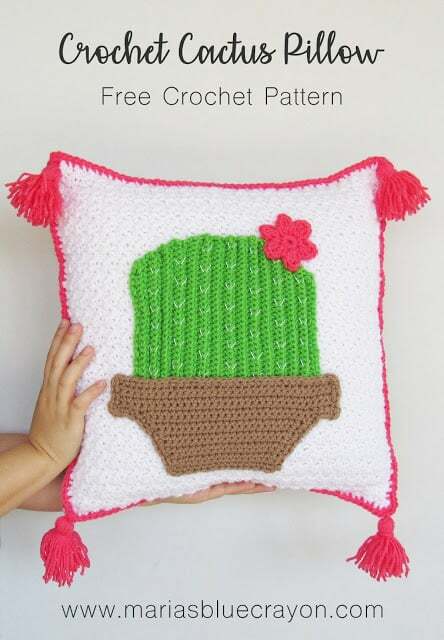 The pillow cover will be made with two panels and the cactus applique made of three different parts (cactus, cactus pot, and flower). I used the Boye Tassel maker to make 2.75″ tassels. You may use another method without the tool (YouTube is a good place to learn). Make another panel the same way except use this stripe chart and change colors (pink, white, and green). (You can click on it to make it larger.) 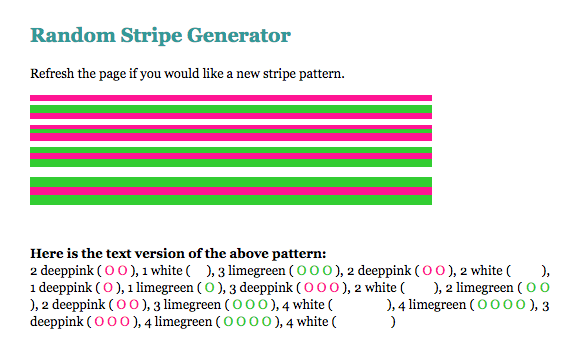 You may make your own stripe pattern by using this Stripe Generator. Take your white thread and needle and sew on little V’s to make the spikes on the cactus. Single crochet around the perimeter of the pot, making sure to make 3 sc in each corner. First, we will sew on the cactus to the white pillow cover panel. Use a tapestry needle and tail ends of yarn to sew on the cactus first, then sew on the pot to overlap the cactus just a bit. Sew on your flower last. I used a running stitch because nobody is going to see the back of the panel, it will be on the inside. Hold the two panels together and use pink yarn and your J/6.00mm hook to crochet the two pieces together. Using stitch markers may help to keep everything even and in place while you crochet around. Single crochet around the edges and be sure to make 3 single crochets into each corner. Make 4 tassels (mine were 2.75″ with the Boye tassel maker). Attach to each corner of the pillow. Weave in any pesky ends and brighten up your room with this festive and fun pillow! 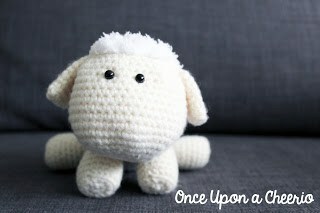 Hop onto the next blog for another Spring Crochet pattern! Now that I’ve shared with you my free pattern for the cactus pillow, go check out Once Upon a Cheerio’s who has a sweet little lamb crochet pattern! Once you go there, you will find another blog to hop to! There are a total of five talented crochet designers to check out! So keep hopping! All designers will have someone else to hop to at the end of their posts. Don’t wait – some designers are only giving out limited free patterns! Happy Crocheting and Happy Spring!